There’s nothing quite like central air conditioning if you live in Florida. We’re known for our humidity and our hot summers that last longer than in the rest of the country. But we get our share of cold days as well—especially in Northern Florida. That’s why we think there’s nothing quite like central air conditioning…except, perhaps, a heat pump. 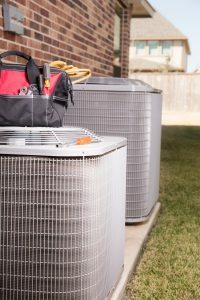 If you’re looking for the perfect air conditioning and heating system for your home, consider a central heat pump or a ductless heat pump. For more information, contact our friendly team, and read on for an overview of what this system can do for your home.